Why? 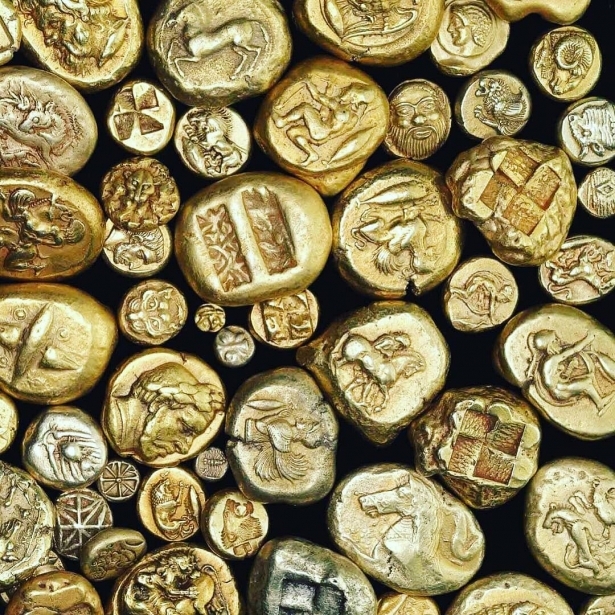 Because gold is the protagonist in them! Check it out! 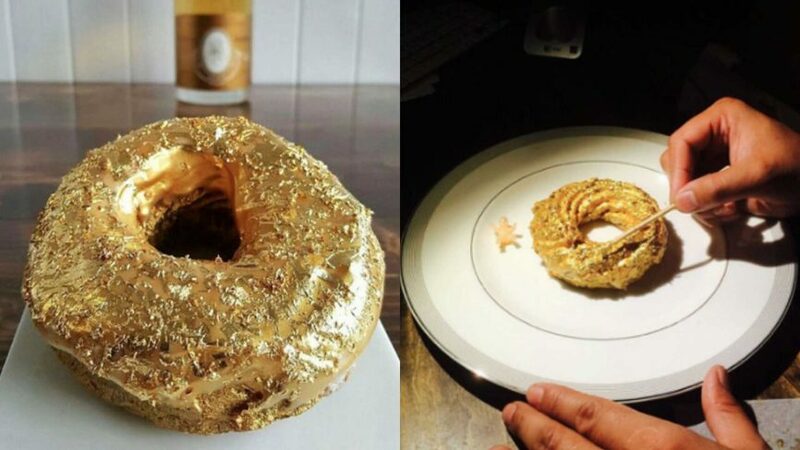 The Gold and Champagne Doughnut is 2016's most revolutionary bakery invention, and it is only available at Brooklyn’s Filipino restaurant “Manila Social Club”. The chef Bjorn DelaCruz is its creator. The doughnut is covered with 24-karat gold and filled with mousse of mashed purple Filipino yams and champagne jelly. You can buy a dozen for $1,000. 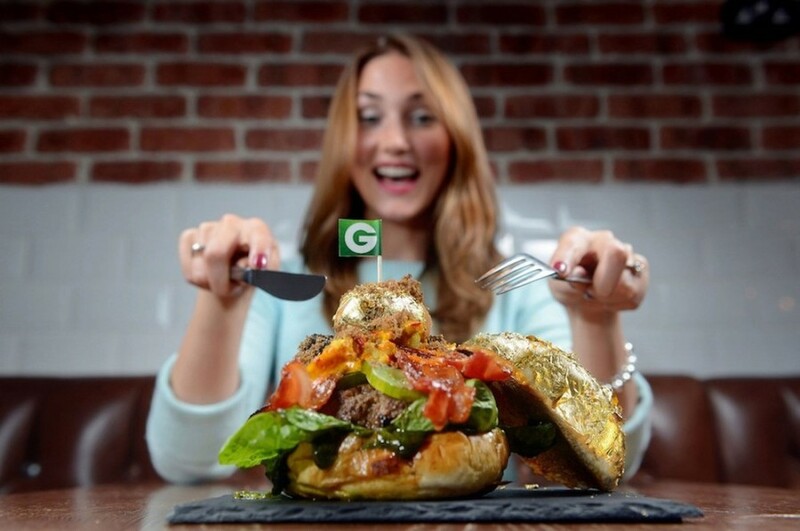 Chef Diego Buik from the “South of Houston” restaurant in the Netherlands has created the most expensive burger in the world, which has earned him a spot in the Guinness Book of World Records. All the ingredients are held together by a brioche bun made with saffron and covered in gold leaves. But this is not all, the burger also has French lettuce, Iberian ham, and a specialsauce made with 35 lobsters, Jamaican Blue Mountain coffee, Madagascan vanilla, saffron and Japanese soy. Impressed? This curry is served in “The Bombay Brassiere”, London, and it comes with a surprise treasure in the end — real gold. The dish has a Devon crab, four abalone sea snails (which cost about $3,000 a kilo), a Scottish lobster ($7,700), four quail eggs stuffed with Beluga caviar (the world’s most expensive), and half a cherry tomato glazed with edible gold and garnished with white truffle and saffron. 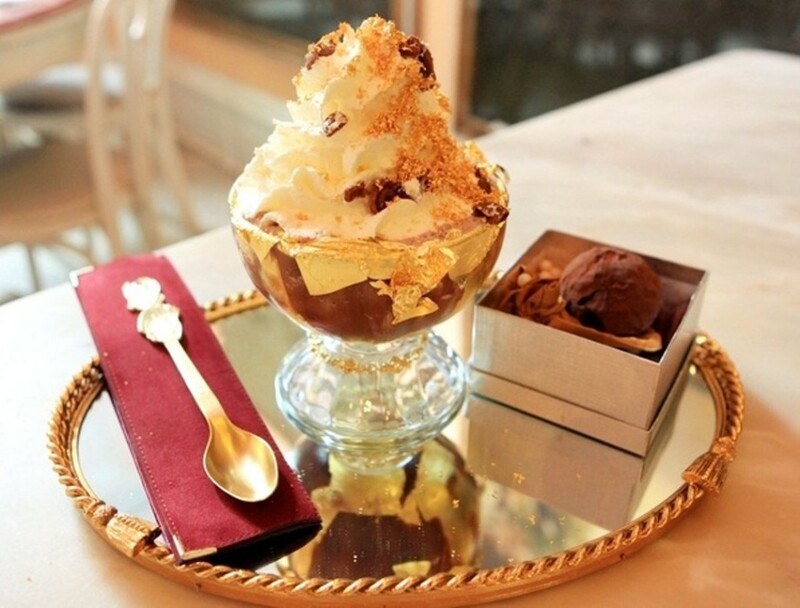 The frozen haute chocolate ice-cream is one of the most expensive desserts in the world. It was created in November 2007 by the luxury jewelry company “Euphoria New York,” and it takes two days to be prepared. The dessert is made with the finest blend of over 28 of the world’s most expensive and rarest cocoas, and it is decorated with 5 grams of edible 23-karat gold. It is served in a goblet covered with edible gold whose base is wrapped by an 18-karat gold bracelet embellished with white diamonds. Everything is accompanied by a gold spoon with more diamonds, of course. 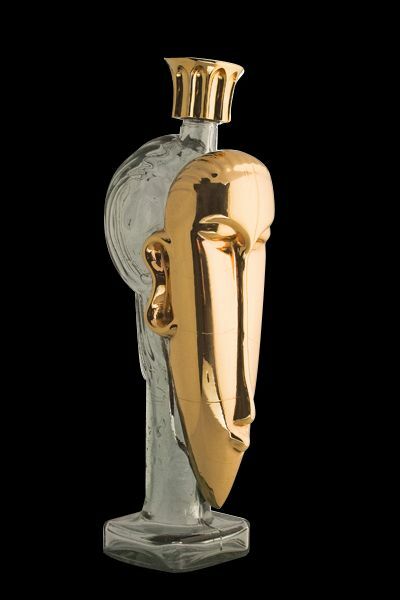 A bottle of Acqua di Cristallo contains water from France and Fiji that is bottled in a container made entirely of solid 24-karat gold. 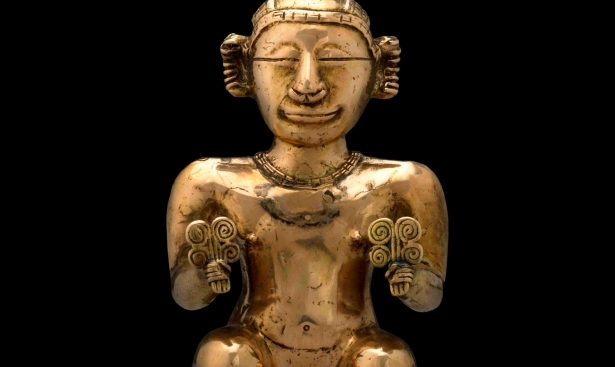 There are cheaper variations of it, such as the silver, crystal or leather bottles, but they still cost $3,700 each. And yet, when it comes to gold, our gold bars are the best choice.